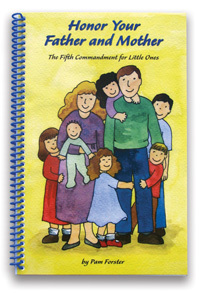 This book is patterned after For This Is Right, our book on the 5th Commandment for older children, but it is designed for smaller children. Simple questions help little ones evaluate their obedience, and each question is followed by a Bible verse that instructs the child in that area of obedience. Simple line drawings aid children’s understanding, and are suitable for coloring (and are reproducible for your own family’s use). 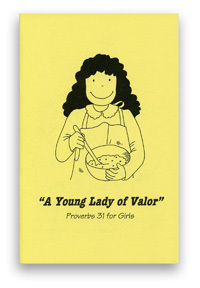 Booklet measures 5-1/2” x 8-1/2.” Scripture quotations are taken primarily from the English Standard Version. We keep this in our church backpack for our oldest to read through when he starts getting a little too wiggly in church. I also refer to it throughout the week when he's not behaving. I love having a scripture to show him so that he can see that there is a very good reason why Daddy and I make the rules and requests that we do! I've also photocopied some of the pictures to use as coloring pages during the church service. This short and simple book really brings conviction! Even as I read through this book I was convicted to how I display honor to my authorities and husband! 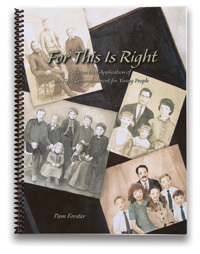 This book is a list of questions with pictures of children and their parents. Followed with Bible verses correlating to the question. I have a young child, so I talk about what is expected instead of asking a question. Still too young to give inner reflection, but old enough to hear- look at momma and daddy when we are talking to you etc. This isn't just a grab and go have everything there. This book is a conversation starter with Bible references and ideas. Even though it isn't just a grab and go have a story example, this is an invaluable resource to have to talk through with your children. It is set up with too much to go through in one sitting. This is a book that you would work on a page or two for a week- depending on how often you take it out. And slowly work through it. Read through the question, read the verse, talk about the picture and then relate it to your home life. And bring it up throughout the day when you can. This book doesn't only apply to children! It is a great personal reflection of how adults and all interact with authorities. I bought this book because I use other Doorposts material and love finding new things! Sometimes even I get confused as to what "honor and obey" mean and have a difficult time explaining it to my children. This book discusses tons of possible ways you can H&O or dishonor and disobey your parents (authorities). That's the great thing! Most adults know better because of experience and/or training, but our children don't possess experience and aren't aware of those things. Such as, "Do my facial expressions and bodily gestures show honor for my parents? Ecc 8:1b." Most of us know that but do we know the verse and have we communicated this biblical principle to our children? I hadn't. 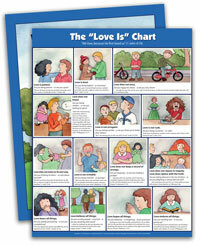 This book makes children think about prayer, obedience, kindness, setting a good example, etc. I never even considered that ALL that was associated with Eph 6:1 and Exo 20:12! A lot of the material is repetitive, but it deals with different aspects of behavior and may have a different Scripture as well. Awesome resource! I try to cover 2 or 3 questions M-F. That will take quite some time, but it is well worth it! Great little book for kids of all ages. We read it after morning and evening meals. Very applicable for this day and age. This is a super sweet study enjoyed by my young children. I would copy the page and allow them to color the picture while I read through what it meant and the verses we would be learning. In this way, they are making their very own copy to refer to any time they desire.